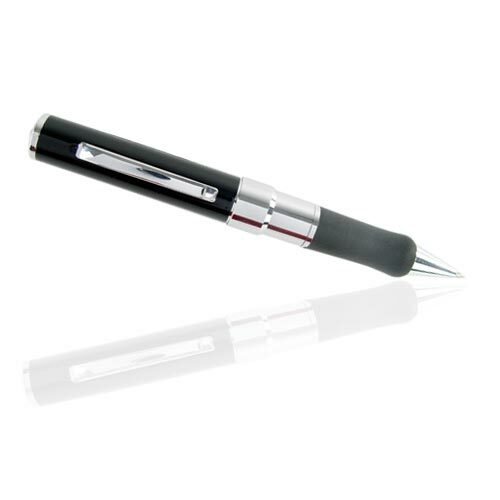 Check out this James Bond gadget, the Secret Agent Camcorder Pen. It comes with 1GB of storage and can record video files with audio at a resolution of 352 x 288. 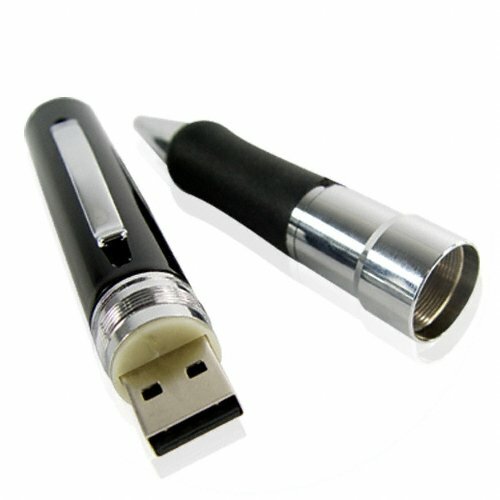 It charges via USB and you can also transfer your files to your PC via USB. 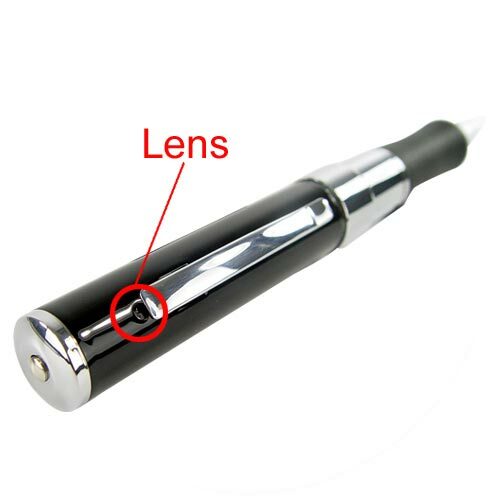 This fun gadget is available to buy online for £108.50 (about $217) from Chinavasion.